The Bureau of Investigative Journalism is launching a new theatre tour to raise awareness of domestic violence with audiences across the UK. 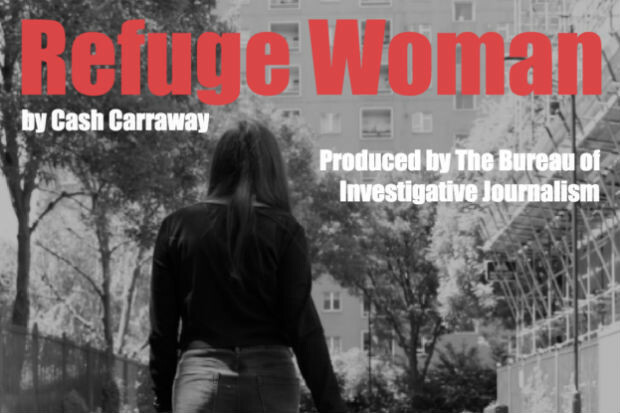 Inspired by real events, Refuge Woman will feature a spoken word performance followed by a talk with local journalists, who will present the findings of their longterm investigation with The Bureau of Investigative Journalism. "We had 20 local journalists and volunteers all across the country all help dig into this big collaborative investigation on refuge cuts and, more widely, the impact of domestic violence on various different areas," said Maeve McClenaghan, investigative journalist and producer of the tour. "We told 80 different stories from that work, and as part of that journey I was able to meet the writer Cash Carraway, who was living in a refuge and developing a piece of theatre about her own experiences." McClenaghan explained she felt it was a good opportunity for the journalists to talk with audiences about what they found in a creative way, and kick off a deeper conversation about how and why refuge provision varies across the country. "Each show will be different as it will include local journalists from each area who will be able to show us their findings," she said. "We are also hoping to invite local councilors, refuge managers, people working in the domestic violence field to open it up to a wide discussion of what's going on in this area." The Bureau Local investigation found funding for refuges had been cut by 24 per cent since 2010, with more than 1,000 women and children turned away from refuges in six months last year. The one-woman show will tour to eight locations across England, between July and November. "I think having somebody that has experienced this themselves tell their own story, although fictionalised, gives a platform to the stories we don't always hear first hand," she said. "We wanted to make sure that we reached as many audiences as we could, who might be more likely to go to the theatre than read their local blog or newspaper."